Instantly Get Your Hands On Winning Headlines And Words You Can Use In Your Copy or Advertising To Increase Sales! Are you trying to sell more of your products but struggling? Did you know that the words you use in your copy can either make or break the sale? When it comes to selling products, you have to be careful with your words. You can’t just pitch a product to your customers using the same tone, mood, and phrases as you would to make a suggestion to a friend. And you can’t discuss the features of a product like you might in a letter or an email. That is, when you pitch your work or the work of another business owner, you have to choose your words carefully. You have to select words and phrases that will instruct the reader to think and act in a way that will eventually result in them buying your products. That's why using the right words is crucial when you're selling anything. 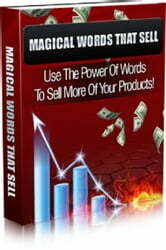 This book shares multiple ways to use words and phrases in your sales. 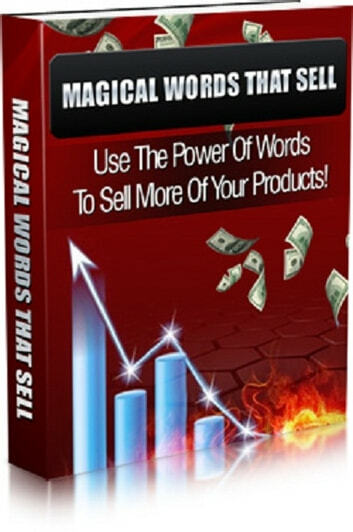 * A complete guide filled with various types of winning words and phrases to help you sell more of your products. * Lots of Headlines you can quickly swipe into your advertisements and sales copy. * The different types of headlines you can use. * How to use the AIDA principle to construct your sales copy. * How motivate people using words and phrases. * How to use "psychological triggers". * Powerful words you can use in any situation to influence and motivate others.